There’s been plenty of talk since the T-Mobile/MetroPCS announcement that Sprint would swoop in with an offer and try to wrestle Deutsche Telekom away from the deal. Now, according to a new Reuters report, it appears unlikely that Sprint will make a counteroffer for MetroPCS — instead focusing on its future relationship with Softbank. According to people “familiar with the matter,” Sprint is concerned that any attempt to receive regulatory approval for both a Sprint/MetroPCS merger would complicate any regulatory review of its deal with Softbank. Speculation grew that Sprint was considering a counteroffer in recent days as they delayed filing their Softbank proxy statement with the US Securities and Exchanges Commission. As it turns out, the delay was not related to MetroPCS, instead related to negotiations between Sprint and Clearwire over interest payments. “The problem is that at this point for them (Sprint) to put a bid would delay the closing with Softbank from a regulatory standpoint,” said one of the people close to the situation. Sprint does not want to make an offer for MetroPCS that would be conditioned upon their receiving approval for a tie-up with Softbank, a second source said. In a separate but related note, Verizon CEO Lowell McAdam took the time while speaking at the UBS Global Media and Communications Conference to discuss the proposed deals of T-Mobile/MetroPCS and Sprint/Softbank. Based on McAdam’s comments, it doesn’t look as though Verizon will put up a fight to block either of the proposed deals that will go before regulators next year. It’s possible we could still see some opposition from groups like the Communication Workers of America however. The group has already claimed that any deal between T-Mobile/MetroPCS will lead to the potential loss of 10,000 US jobs. The CWA claimed that any deal between the two companies will feature “transaction specific savings” and that “network and non-network synergies” could result in potential job cuts. Anyone else find it peculiar that the CWA is opposed to the T-Mobile, MetroPCS deal but was such an advocate of the AT&T, T-Mobile deal. On your last paragraph.. The cwa covers att employees. They saw dollar signs during the tmo buyout attempt. Theyre not big fans of tmo. I figured as much, I didn’t do much research on them though, or at least I don’t remember who else they cover. It’s clear they have vested interests here. This deal has to go through without issue. The big two have gotten to the size they have partly due to mergers/acquisitions. You can’t prevent two smaller players from joining forces. After the Tmo/metro deal clears, They need to make a run at LEAP. Their spectrum lines well with the spectrum of the new “t-Metro”. But in the end, does it really matter? 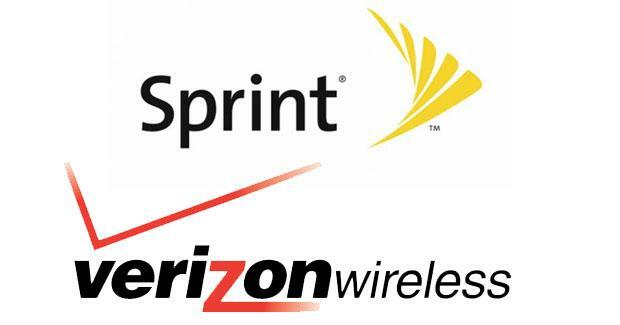 Sprint/Softcell/Tmobile/uscellular/Leap will all be one in the same after 2015. I hope they do go after Leap. The bigger they become, the more they can have an impact in the US market. Me to, but I heard Sprint might go after it. Sure do, they probably where trying to keep AT&T happy. I would not be surprised it they would have seen some financial benefit from it. There, I said it. MetroPCS and Verizon had a deal on the table for a Roaming Agreement. A network aggreement between these new companies would not only help T mobile, but VERIZON as they look to deploy voice their VoLTE stuff along the same bands used for T mobile. So there will be some STRONG, STRONG synergies between 3 companies. I see t mobile could be leaning towards the bigger of the two evils. To be fair, the references to “post-merger ‘efficiencies’ and ‘transaction-specific savings’ through a variety of ‘network and non-network synergies’ ” is a play on word to (domestic) job cuts among other things. And in other but related news, AT&T CEO Randall L. Stephenson and his company is still crying and licking their wounds after their attempted acquisition of T-Mobile. With the upcoming announcement of T-Mobile USA becoming an official carrier for the iPhone, AT&T is praying for a low churn rate. T-Mobile is the company that’s losing 2 million postpaid subscribers in a year, not AT&T. T-Mobile is too cheap to get the iPhone. AT&T has been selling the iPhone since the beginning and has been growing the whole time. T-Mobile and MetroPCS are two losers—let them die a quick death together and AT&T will pick over their remains. Bill, I’d pay better attention as to where I’m posting if I was you – this is a pro T-Mobile rumor site, and not a pro AT&T site. But people like facts. It helps us understand what actually goes on. True AT&T is making more money than T-Mobile but I’m sure they are still upset that they lost out on 6 billion for that deal falling through and the potential massive profits they could be having if they were allowed to acquire T-Mobile and have a GSM monopoly in the US. With the way people bash At&t and have praised T-Mobile over the years it’s mind blowingly frustrating to see at&t grow and RETAIN customers while T-Mobile losses customers. Don’t underestamate the power of stupidity. You know, I’ve wondered the same thing! So many ppl I know have VZW or AT&T and complain that their bill is too high or the data limit is horrible… I tell them what I have with TMo (True Unlimited data, text, calls) with 3 lines and mil. discount and pay slightly more than they do with one line. Most respond that they have to stay with VZW or AT&T because the coverage is everywhere. The reason I can’t switch is coverage, and lack of LTE. T-Mobile is good in my area, but it has a small coverage when I travel. I just switched to the 6G Share Plan(aka Bare plan). I had unlimited but I don’t want to have to worry about going over 6GB(have to share it with 3 other people). Now I try to not use a lot of data. Might as well get a feature phone on how much the carrier limits you. It does save money if you use a little bit of data though, and to people im a “data hog” because I use more than 2gb a month while “normal” is 800MB(?????really??). This is pure speculation on my part, but I believe sprint backed off, because either DT promised to sell them the surplus PCS in those markets or Sprint is going to focus on getting all of the PCS H block that the FCC plans on selling next year. I believe it could be a combination of both, since the rumor sprint counter bid would have forced DT to give Metro up to 47% of the company instead of only 26%. I am sure DT would have rather given up surplus PCS instead of losing 20% of NewCo. Right now, Sprint is more likely to focus on the situation with Softbank and its network problems. Sprint uses money from its sugar daddy to buy some PCS H block. Remember, Sprint still own Clearwire – a lot of spectrums. Why need more spectrums? I believe that DT+ MetroPCS will be merged anyway. Its spectrums will be more synergy with Verizion’s AWS LTE networks after its obsolete technology, CDMA to be phased out. The network problems are already in the hands of Samsung, Alcatel/Lucent, and Ericsson. They are the contractors who are building out their network. Sprint just has to make the payments once the towers are complete and accepted, and Sprint already has funding for its Network Vision program. Softbank is still in the hands of the FCC/DOJ. Sprint cannot really do anything but accept their ruling and provide evidence if need be. They are going to need it to keep up with capacity and speed. Verizon only has like 10% of their customers on LTE, and I have seen multiple speed tests of people on Verizon getting slower speeds than those on Tmobile HSPA+21. How long with that be? CDMA is going to be around a long while. They are going to have to get VoLTE off the ground, sell VoLTE dummy phones, and get 70+% of customers onto their LTE network, which could take who knows how long, plus their is no guarantee that they deploy AWS nationwide. Do you really think VZW will make dummy phones on VoLTE and LTE? Just curious. Only reason I would get one is for the price of the data plan add-on, but there are people who still use feature phones and don’t care about data. I am not completely sure. VoLTE would allow them to put all their spectrum towards LTE, which they need since they are already getting constrained in some markets, but VoLTE/LTE are inferior to CDMA in some aspects that people on dummy phones would want. CDMA 1X travels farther than LTE, which means less coverage on LTE than CDMA. Voice time on LTE is around half that of CDMA according to the engadget article earlier in the week. Plus their new plans seem to almost force people to get smartphones. ( 30 dollars for a dummy phone vs 40 dollars for a smartphone add on). Another problem currently is that the antennas may not fit on a dummy phone. Metro is using AWS, which needs less spacing between the antennas, so they can fit on smaller phones than Verizon’s 700mhz. Sprint has also made some enemies. Sprint has control over a TON of spectrum but it’s all a mess. If Sprint makes a bid on spectrum that T-Mobile or at&t may be eyeing expect BIG opposition from those guys. At&t, based on their recent statements towards Sprint, really feels biter about how Sprint opposed the T-Mobile/att merger. Expect them to give them a headache. At the end of the day, Metro doesn’t do much for Sprint other than boost their subscriber count. T-Mobile can always make the case that Sprint has access to swaths of spectrum already and if Sprint moves to purchase something T-Mobile is interested in they can portray it as anti-competitive. How is Sprint’s spectrum holdings a mess? They only have spectrum in three bands( SMR, PCS, EBS/BRS). Verizon has 4 and ATT has 5+. They do have a ton of spectrum if you include clearwire, however only 55.5Mhz of clearwire’s spectrum would count against Sprint’s Spectrum Screen. ATT and Sprint have been at each others throats for years. Metro gives them PCS spectrum in areas where they have less than 30mhz in PCS A-F block. Atlanta is a good example. NewCo now has 60mhz of spectrum in atlanta, but Sprint only has 20mhz. Atlanta could become spectrum constrained quite easily. That is probably why sprint does not fully own Clearwire, but even if they did, they would still have less spectrum counted towards the screen than ATT or Verizon. Also since Sprint is still far from competing with ATT/Verizon, I doubt the FCC would see them as anti-competitive for trying to increase their capabilities to compete with them. Unions have their own greedy interests, just as do big businesses. All do. They are there to make money and fill their pockets as fat as possible. Unions had their time, but in this day they are just a burden on the system. Not all do. Some work hard for their workers during crisis like the union i am in. We don’t burden the system. Poor management burdens it. Verizon is saying that because they want to swallow T-Mobile if it goes out of business. so is there any rumor to t-mobile taking over the affiliate Iwireless(formerly iowa wireless) by 3 quarter of this year? CWA is showing opposition in hopes that T-Mobile will be swayed to consider bringing them into the fold. Standard union thuggery. If Unions are thugs, then that would make Corporations organized crime. Since Metro has launched VOLTE, will T-mobile Adopt the same technology in the future?? To me it seems obvious that they will. Interesting comment from Verizon considering over the past decade they have swallowed up a number of competitors with the sole purpose of thwarting competition. If they feel so strong about having a competitive market maybe they should set Alltel free. Any more news on the Google/Dish collaboration?! Remember big G’s intentions for a smartphone plan? CWA is on the payroll of AT&T..That’s why they want T-Mobile to suffer with no support.